This was one of the ordinary nights that we go out to get a few groceries in our local store. Every time we came to the grocery we always passed by this section where video games and players are displayed. Our 3-years-old is in the stage where he can appreciate everything, his father brought the NEW WII U months ago and we enjoyed playing the 3D Mario as a family during Sunday nights including our son. He loves to watch someone plays Mario, Bowling, and Spongebob cartoons and more. This time, we didn’t buy anything, as my husband would like to look for new and sale games whenever we go to the store. That's so cute! 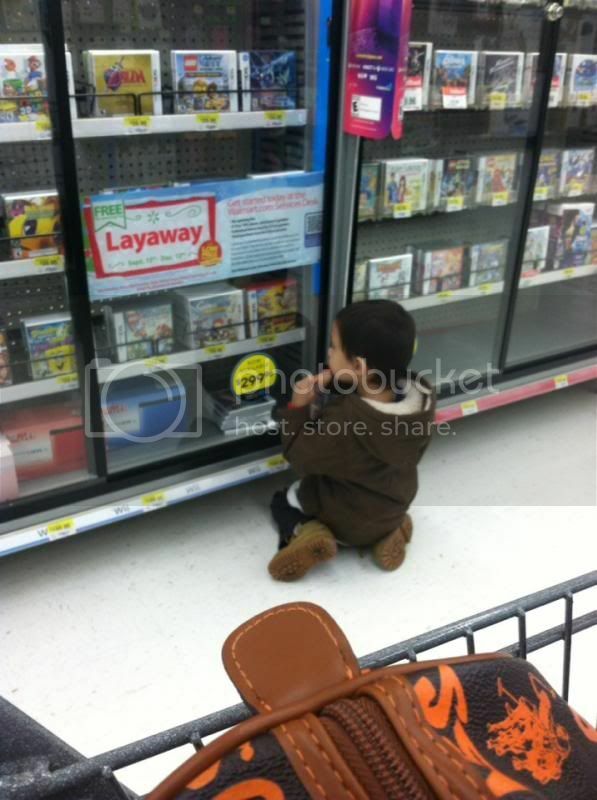 My daughter used to do that every time I took her shopping. She'd go straight to the games aisle and take her pick. I also enjoy playing Wii.